Lawyers representing 546 National Union of Mineworkers (NUM) members at Optimum coal mine in Mpumalanga are going to court to remove the business rescue practitioners who now run eight Gupta-owned companies. They accuse the practitioners, Johan-Louis Klopper and Kurt Knoop, of lying to creditors at meetings this week. Klopper claimed Standard Bank had agreed to open Gupta companies’ accounts, but the bank strenuously denied this. They also claimed that workers had returned to work, but the NUM’s lawyer, Ruann Kruger, says this is simply not true. While wages have belatedly been paid this month, the Optimum coal mine is still in disarray, Kruger told City Press. Klopper and Knoop held eight separate creditors meetings this week for each of the Gupta companies they now control. Some creditors are questioning the whole premise of the business rescue, which is to get banks to reopen the companies’ accounts, when the ultimate beneficiaries of a successful rescue would be the existing shareholders – the Guptas. be objective when they simultaneously run eight entangled Gupta companies. Due to a complex web of intercompany loans and contracts, the largest creditor of one Gupta company is often another Gupta company. “In that situation, do you serve the interest of the debtor or the creditor – they represent both,” Kruger said. The loans will create the strange situation where the rescue practitioners may have the major vote on their own business rescue plans for some of the Gupta companies. Since their appointment on February 20, Klopper and Knoop have faced a number of liquidation applications, mostly related to the Optimum mine – the largest of the eight Gupta companies they control. Some of these were settled, including a claim for more than R10m from a supplier of conveyer belts, Edsha Collective. At least two more applications are due to be heard. Aside from the NUM workers, Kruger also represents creditors who are owed R16m. This echoes allegations made in Edsha Collective’s liquidation application. Its CEO, Edwin Shakwane, said in an affidavit that the business rescue was a ruse to avoid creditors. There was no reason for banks to suddenly trust the companies because Knoop and Klopper had been appointed, said Shakwane. “South African banks would likely not come to the respondent’s aid because the main purpose of the present rescue proceedings is manifestly to provide Oakbay Investments with daylight so it can pursue the sale of Tegeta to a willing buyer at a price acceptable to the Guptas,” said Shakwane. Oakbay owns Tegeta and Tegeta owns the Optimum coal mine. “One gets the distinct impression that the Guptas are in urgent need of the protection provided by the moratorium against legal proceedings so they can safeguard their residual commercial interests in South Africa,” said Shakwane. Business rescue immediately suspends legal claims against a company. Knoop replied in an affidavit that it was “unsubstantiated, scandalous and vexatious” to insinuate that he and Klopper were Gupta stooges. “I have no knowledge of any ulterior plan to buy time to permit the Guptas to sell Tegeta at a price acceptable to them,” said Knoop. a creditor challenged the idea that the banks would now welcome the companies only to see them revert to the infamous family’s control. Klopper, however, suggested that the Guptas would not regain control of their assets because the business rescue plan would almost certainly entail selling everything. “There are a number of offers for the mines,” he said. Despite Standard Bank’s denials this week, Klopper still tried to convince creditors that new bank accounts were as good as guaranteed. “We have a letter from an institution that they approve opening accounts. The only reason they are not open yet is that they requested some additional information,” Klopper told creditors. “They agreed in writing to open the accounts. They committed to opening them in black and white,” he said. “If on March 30 we have no bank, the group ceases to exist. It is critical to engage the banking fraternity,” Klopper added. 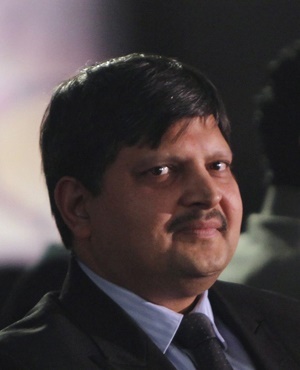 Business rescue won’t mean the Guptas will get away with not repaying the almost R300m they allegedly scammed out of the Industrial Development Corporation (IDC), the state-owned national development finance institution told City Press. It lodged its claim in the form of a sizeable lever arch file, alongside hundreds of other companies’ this week. The claim is for R287.5m – money the IDC is already pursuing in a court application against the family’s ill-fated listed mining group Oakbay Resources & Energy. “The IDC has issued an urgent application to protect its rights in respect of the securities it holds in Shiva [a uranium mine near Klerksdorp],” the IDC told City Press in written answers to questions. “The IDC enjoys claims against three other entities in the Oakbay Group – that are guarantors for Shiva’s debt – which are not in business rescue,” the IDC said.